MORRIS COUNTY — All boys and girls in grades K-5 are invited to the Cub Scout Pinewood Derby Championship for Fishawack District (eastern Morris county). The Championship will be held on Saturday, April 6, between 10:00 a.m. to 1:00 p.m. at Alfred Vail School, 125 Speedwell Avenue, Morris Plains. 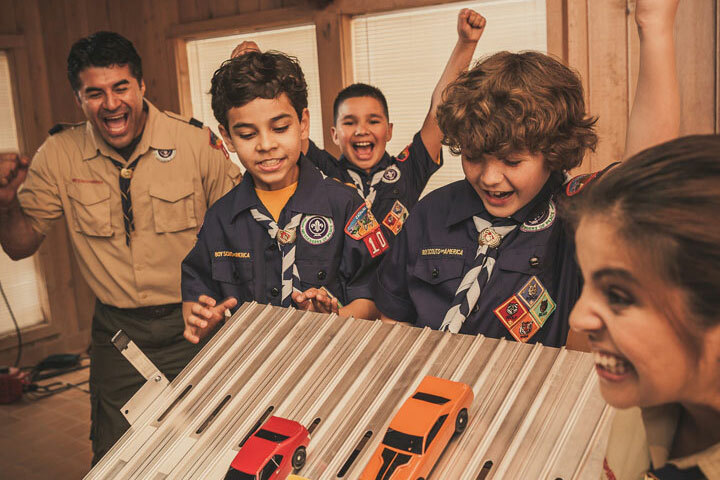 You will see the fastest cars that our Cub Scouts have built during the past year as they race for the right to move on to the World Pinewood Derby Championship. Each boy or girl spectator will be able to purchase a pre-carved Pinewood Derby car and customize it on the spot with markers and stickers. Spectator’s cars will be raced just for fun and will not be eligible for the championship.Please register by clicking here.For information about the Pinewood Derby, or other Cub Scout fun year-round, contact Senior District Executive Al Thomas, Patriots’ Path Council, BSA, al.thomas@scouting.org; (973) 765-9322 ext. 229.